Hey everybody! Welcome to another Friday Favorites! 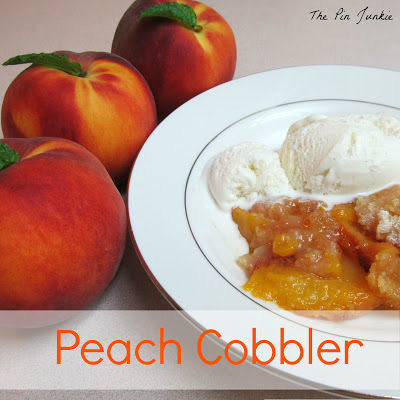 For today’s party, I’m featuring some *peachy* peach recipes that are just perfect for the end of summer and the coming fall season! Hope you enjoy them! Also, while you’re here today, I’d like to invite you to enter my latest giveaway from Holey Donuts! Ten winners will win their choice of 5 assortments of these yummy donuts! Yay! Go check it out! I can’t wait to see your posts! Link up below! Thanks for hosting! Loving the peach theme! 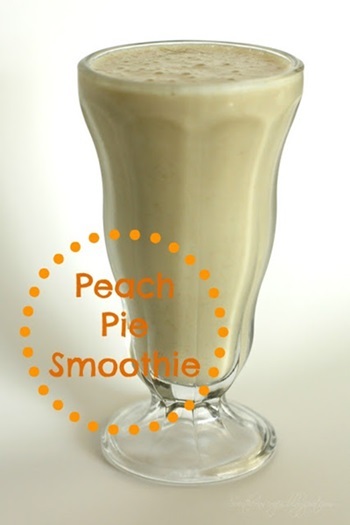 I would love to have that Peach Smoothie right now, yum! Thanks for a great party and have a fun weekend! Thank you for the party Jerry !! Thanks for hosting. Great looking peach theme. 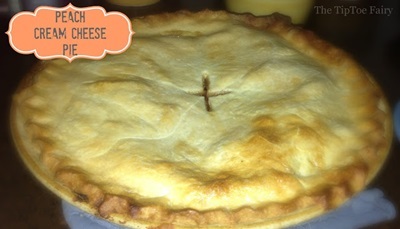 The peach cream cheese pie has gotten my attention! 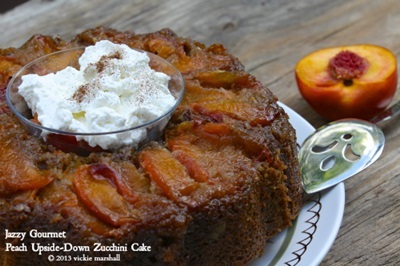 Thanks so much for featuring my Upside-Down Peach Zucchini Cake Jerri. I am so flattered! All of the recipes sound so enticing. Can’t wait to try them. Thanks again! Thanks for hosting Jerri. Have a great weekend!